Stay warm in your home by fixing and preventing furnace problems. For Calgary homes, the furnace is almost holy: if it starts blowing out cold air after taking a hammering by one of our harsh winters, then everyone’s left in a freeze. While minor home heating problems are relatively common, it’s important to have a reliable channel to get them fixed quickly, efficiently, and for the long term. You don’t want the same problems recurring with your furnace next winter. Servicing your furnace regularly will help prevent problems and it will also help to control your energy bills. 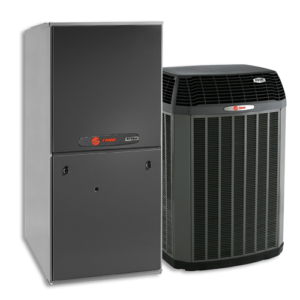 We can help you care for and repair your home’s furnace if it develops faults; we can also install a new heating system in your home if required. If you need a new furnace or heating system, we’re one of Calgary’s largest purchasers of heating equipment. The above services are provided by our 30-strong team of Peter the Plumber technicians and we’re on call for emergencies 24/7. They are familiar with all residential and commercial furnaces in use in the Calgary area and all work is covered by our superhero guarantee. One of the main benefits of replacing an old furnace and heating system is that modern equipment is much more energy-efficient. Increase your peace of mind! You can count on us for all your plumbing, furnace, air conditioning, hot water tank and electrical needs - with Pete the Plumber you know it will be done right! You’ll never be kept in the dark with our pricing. Receive a complimentary, accurate quote for your project, repair, hot water tank, furnace or electrical needs. 24-hour emergency plumbing service, 100% satisfaction guarantee, 2-year parts and labour warranty on products supplied and installed by Pete the Plumber. We’ve been looking after the plumbing needs of households in Calgary and surrounding areas since 1999 and we’ve won the Consumer Choice Awards 13 times. What brands of furnaces do you install? We install Trane, American Standard, Ameristar, and Heil. Do you do garage heaters? Yes we do, we install Reznor unit heaters as a forced air for the garage, and we also will install radiant tube heaters as well. How often should a furnace be serviced? It is recommended that your furnace be serviced once per year. Please note, some manufacturers require annual maintenance in order to maintain warranty. Voted Calgary’s #1 plumbing service provider, Pete the Plumber offers professional plumbing, AC, electrical, and 24/7 emergency repairs. "Great job, great prices, great service." We serve all communities in Calgary and the surrounding area including: Airdrie, Okotoks, Bragg Greek, Redwood Meadows, Cochrane, Priddis, Black Diamond, High River, and Langdon.